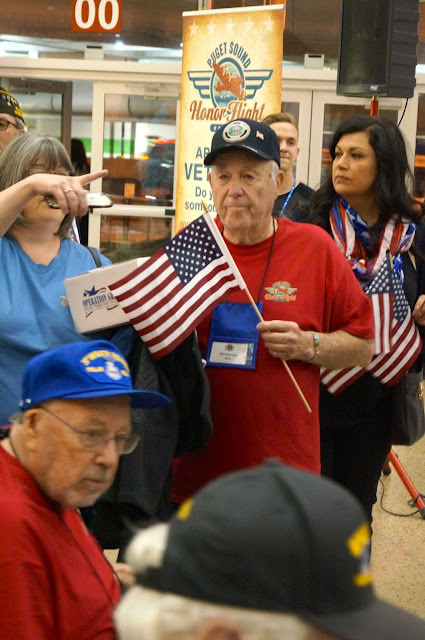 Shoreline Area News: Shoreline veteran goes on Honor Flight to Washington, D.C.
Shoreline veteran goes on Honor Flight to Washington, D.C.
American Legion Post 227 member Robert "Bob" Grasmick was selected and went on a Puget Sound Honor Flight Saturday, May 19, 2018. Honor Flights take veterans to Washington D.C. to visit the memorials dedicated to veterans. They currently have given priority to WWII, Korean and Vietnam Veterans of all branches of service. There is presently a backlog of around 2000 applicants waiting for the trip with WWII Vets given priority in the selection process. Honor Flights Network is a non-profit organization created to honor America's Veterans for all their sacrifices. 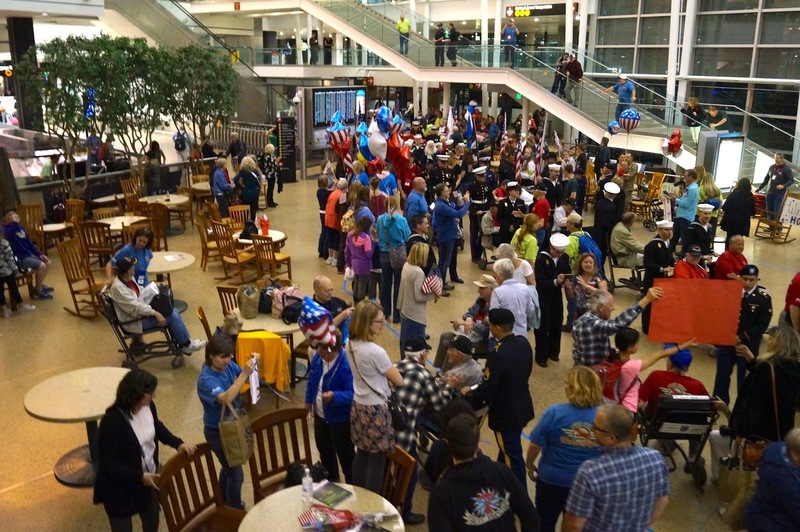 Puget Sound Honor Flight has one goal: To recognize the local Veteran population living in Western Washington. Their mission is to transport our heroes on "One Last Mission", a trip to Washington D.C. to visit and reflect at the memorials built in their honor. The trip is free to the veteran, and made possible solely through individual donations and corporate support - NO federal funds are allocated to this program. Donations can be made by visiting their website. They are located at PO Box 434 Grapeview, WA 98456. Contact them by phone 253-303-1130 or email. The flight departs on Saturday and returns on Monday, with a very full itinerary on Sunday and Monday.